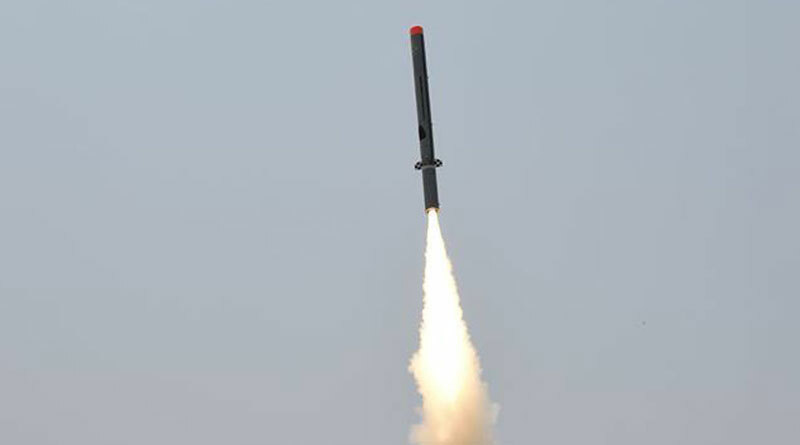 India on April 15 successfully test fired ‘Nirbhay’, the 1000 km range cruise missile, from a test range in Odisha. Nirbhay is India’s first indigenously designed and developed long-range cruise missile. Developed by the Bangalore-based DRDO lab, the Aeronautical Development Establishment (ADE), the state-of-the-art, all-weather missile can be launched from multiple platforms. It is designed to carry conventional and nuclear warheads. The DRDO described the test successful, and said the missile is capable of loitering and cruising at 0.7 Mach at altitude as low as 100 metres. Nirbhay covered the designated target range in 42 minutes and 23 seconds, the defence agency added. Nirbhay has the capability to carry a 300-kilogram warhead, and is a subsonic long-range land attack cruise missile. The cruise missile can strike land targets up to 1,000 kilometers away. Nirbhay uses a solid rocket booster for taking off and after the appropriate velocity and height in its trajectory the missile is propelled by the Turbofan engine. The sources in the DRDO said the missile had achieved all the mission objectives, right from lift off till the final splash, boosting the confidence of all scientists associated with the trial. The missile is guided by an inertial navigation system, developed by Research Center Imarat (RCI) and uses a radio altimeter to determine its height. Besides, Nirbhay uses a Ring Laser Gyroscope (RLG) based guidance, control and navigation system. It is also equipped with a MEMS-based Inertial Navigation System (INS) and the GPS system. With a wingspan of 2.7 metres, Nirbhay weighs 1,500 kg and has a width of 0.52 metres. The sources in the DRDO claim the missile has a capability to deliver 24 different types of warheads based on mission requirements, while flying at low altitudes which gives it significant immunity against any radar detection.